Welcome to The State Bank of Table Rock, where we’re here to earn your business each and every day. 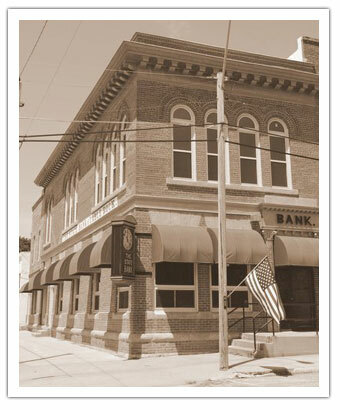 The State Bank of Table Rock was state chartered in 1885. The bank has always been locally owned and operated. It is now under the management/ownership of Rick and Bobbie (Stillinger) Kunze, who took over in 1990 from Bobbie’s parents, Robert and Ethelann Stillinger. The Stillingers purchased the bank from the Bonham family in October 1958 and managed it for over 32 years. The Bonhams had owned the bank for over 40 years. The Stillingers purchased the State Bank of DuBois in June 1969 and continued it as an independent state-chartered bank until July 1994, at which time it became a branch of the State Bank of Table Rock. In 1995 a third branch was opened in Pawnee City. The fourth branch in Humboldt was added in 1996. The fifth branch, located in Roca, was opened for business in March 2008. The newest addition is the Tecumseh Branch opened in January 2017. So when you want a banker who knows you by first name, come talk to us. We think you’ll appreciate our hometown, friendly style of business.